CocoMutts coconut oil is produced by cold pressing the flesh of fresh coconuts. Nothing is ever added, nothing is ever taken away, no chemicals are used and no heat is ever applied. CocoMutts is simply pressed and filtered which means that all the goodness is retained. 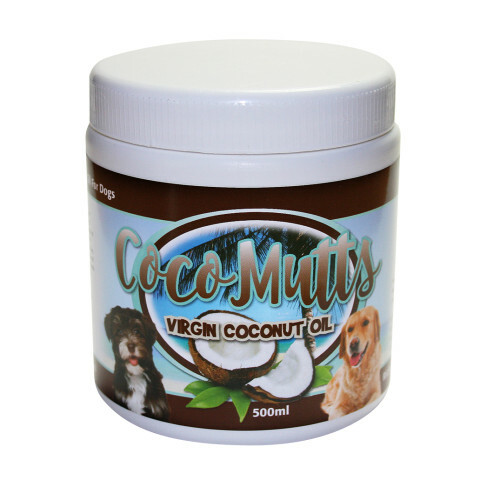 Coconut oil provides a rich source of medium chain triglycerides such as Lauric Acid and can have many benefits to your dog when fed as part of their regular diet. Coconut oil also has lots of benefits when used as a topical treatment.